Υποβλήθηκε από Babylonia στις 28 Φεβρουάριος, 2019 - 12:12. Registrations for "Greek language courses for foreigners in Thessaloniki" have started at Cultural Center of Babylonia. 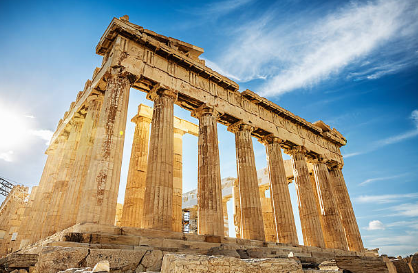 Greek is an independent branch of the Indo-European family of languages, native mainly to Greece and some other parts of the Eastern Mediterranean. During antiquity, Greek was a widely spoken lingua franca in the Mediterranean world and it would eventually become the official parlance of the Byzantine Empire and develop into Medieval Greek. In its modern form, Greek is the official language in two countries, Greece and Cyprus and is spoken by at least 13.2 million people today in Greece, Cyprus, Italy, Albania, Turkey where there are traditional Greek-speaking settlements and regions. About its characteristics, the phonology, morphology, syntax and vocabulary of the language show both conservative and innovative tendencies. Greek words have been widely borrowed into other languages, including English: mathematics, physics, astronomy, democracy, philosophy, theatre, etc. Greek has been written in the Greek alphabet since approximately the 9th century BC. It was created by modifying the Phoenician alphabet, with the innovation of adopting certain letters to represent the vowels. The Greek alphabet consists of 24 letters, each with an uppercase and lowercase form. The historical unity between the various stages of the Greek language is often emphasized. Although Greek has undergone morphological and phonological changes, never since classical antiquity has its cultural, literary and orthographic tradition been interrupted so that one can speak of a new language emerging. Greek speakers today still tend to regard literary works off ancient Greek as part of their own language. Courses will be taught by experienced teachers. IN CASE, THE STUDENTS OF A1 LEVEL GROUPS ARE INTERESTED IN MORE INTENSIVE CLASSES (TWO SESSIONS PER WEEK) THEY CAN SUGGEST AND DECIDE IT UPON THEIR FIRST CLASS MEETING. Certificate of Attendance: After the completion of the course students will receive certificate of attendance.